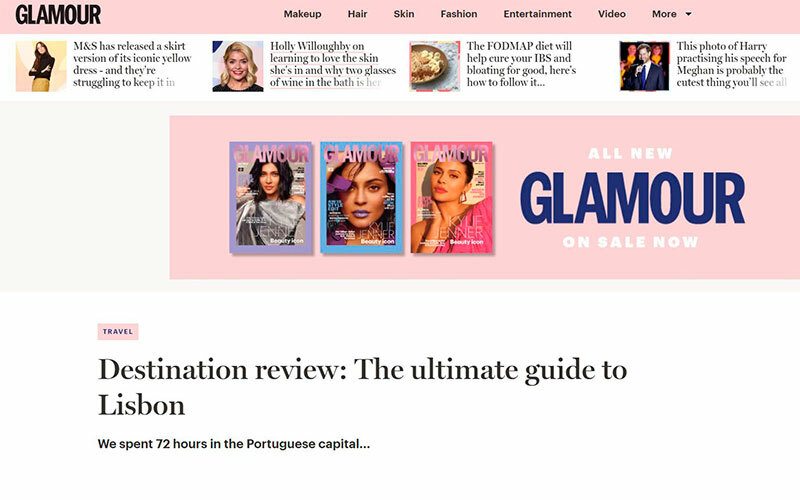 So GLAMOUR spent 72 hours in Lisbon and came up with the ultimate guide to the city. And of course we helped them fiding all the hidden gems with a personalized bike tour in Lisbon. Here at Cycling Lisbon, we totally agree with her! We can add that Lisbon is becoming more bike friendly every day. Thanks to the government and especially Lisbon’s City Hall (Câmara Municipal de Lisboa) the bike lanes network are growing every month. With so much to see and with such improved conditions for biking you just need proper guides to pin point the hidden gems the best routes with the wow effect. And this was exactly what we did for Ellie and her team! In her article about Lisbon, we were featured in the “What to do?” section. We were very happy with Ellie’s feedback and featuring her article. We also want to thank TAP for the invitation to be part of this initiative.